Researchers at the University of Tartu Institute of Technology are taking steps to offer visionary solutions for global issues. As biological creatures, humans are exposed to medical conditions such as stroke, Zika virus and sexually transmitted diseases. Researchers at the University of Tartu Institute of Technology are taking great steps to offer visionary solutions for these global issues, while also pioneering in contemporary health technology areas. According to the World Health Organization, 15 million people suffer stroke worldwide annually. Of these, five million die and five million are disabled, unfortunately permanently. Statistics say that only ca 20% of people get help at the right time. 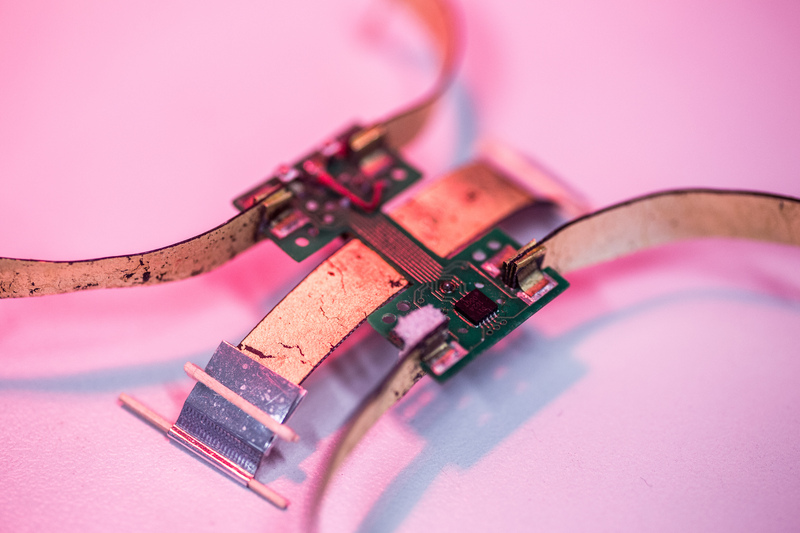 “If we could make this number even a little bigger, very many people would survive and live on with normal health much longer,” says Alvo Aabloo, the institute’s professor behind the R&D of artificial muscles. His most sparkling project in collaboration with Philips, is developing artificial muscles to be used as a remedy for strokes. The revolutionary medical tool would either get rid of the blood clot mechanically or dissolve it with a drug load. After extensive research in labs, artificial muscles are very close to being applied in various areas. “In the world, these are already used for loudspeakers and harvesting wave energy from the ocean,” Aabloo says. This distinguished scientist has been deeply into robotics in the past, helping to create the shape changing Fits.me robot for online shoppers. This Estonian startup was sold in 2015 to the Japanese e-commerce and internet company Rakuten. “The greatest benefit was that, on the basis of this project, a totally new generation of engineers and engineering knowledge emerged,” comments Aabloo on the first lesson learned from the project. The second lesson was how to communicate with business culture. For Aabloo, all the legal conditions as well as what the company expected from the researchers was very instructive. “There are very few companies in Estonia that are able to invest so much for so long, while also involving multinational companies,” he says. Another success story was his involvement in the “Mars house” or SHEE project. The self-deployable habitat for extreme environments could be used as a Moon base, but is also suited for disaster areas or in extreme conditions on our planet. The Institute of Technology researchers designed the robotics and energy systems for the self-erecting house and built the body of the SHEE. “Arabic countries that are facing disasters have shown keen interest in having these,” tells Aabloo. Kurg’s colleague Mart Ustav is behind the remarkable story of spin-off Icosagen. Starting as a diagnostics lab researching Human Papillomavirus, Ustav and his team built the successful health-tech company Icosagen, which develops novel technologies and provides research services to academia and to the bio-pharma and bio-tech industries. 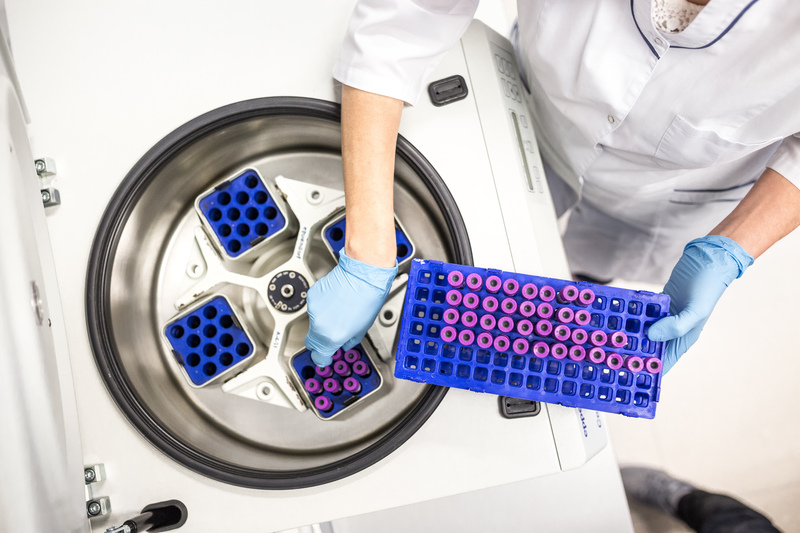 In 2016, Icosagen Cell Factory was awarded 1.2 million euros within the framework of Horizon 2020 to develop a novel platform for mammalian cell line development, in order to reduce the length and cost of biological drug development. The company has almost 50 employees today, half of them have a PhD. Diagnostics − or to be precise − selfdiagnostics is yet another example of how knowledge, a good business idea and patience combined with hard work pays off. Since 2010, the company known as Selfdiagnostics has closely cooperated with the institute to revolutionize the sexually transmitted disease (STD) multi-test for use at home. It helps to discover diseases faster and start treatment sooner while saving money. 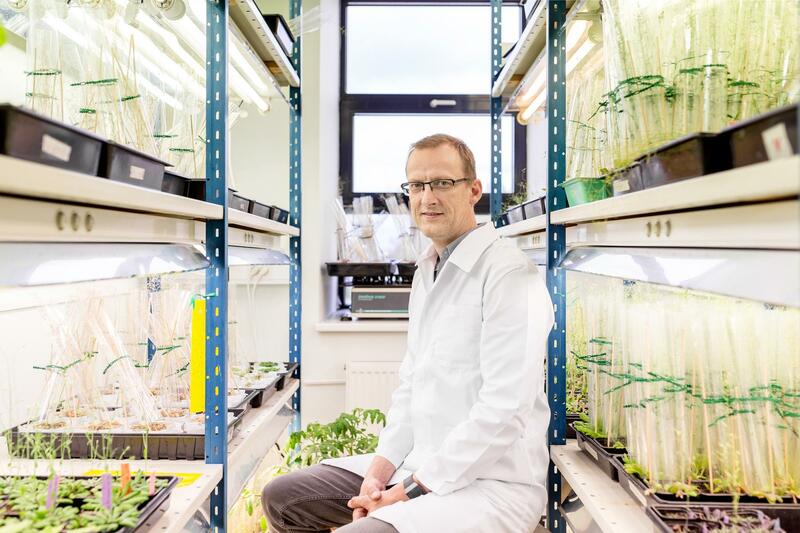 “While developing the product and building our company (with headquarters in Tallinn and an office in Leipzig) our mission is to do very good science,” says co-founder Indrek Tulp. The company has seen three PhD theses successfully defended in the last eight years and attracted remarkable investments. Perhaps one common feature among the people active at UT Institute of Technology is that most of them are a bit bull-headed, driven to make their projects thrive and never giving up. “They don’t despise small and simple problems. However, they always think big and their great visions may reach out from the ordinary person’s perspective,” describes Kristel Reim, head of the UT Centre for Entrepreneurship and Innovation. “Our first success story is that we have been very open to all scientists with good and crazy ideas. We wish they could apply for grants themselves and we do not send anyone back, rather we advise,” adds Kurg. And the scope of the areas is wide. In the environmental technologies professor Hannes Kollist’s Plant Signal Research Group explores the response of plants to environmental changes. “Thanks to his initiative a very unique apparatus was built that measures the gas exchange from the leaves of plants,” says Kurg. Group works at models that try to forecast the climate changes impact on the vegetation. The direction of synthetic biology is also evolving in the institute. “We currently have a synthetic biology centre in the making, the aim is to build cell factories − for bacteria, yeast and mammal cells. These cell factories could produce chemicals we are interested in,” describes Reet Kurg. These projects are in the development phase all over the world and the basic idea is to produce medicine either in bacteria or in yeast. “These are business-oriented initiatives to bring high-tech factories and high-tech production into our area. If all goes very well this could be an alternative to the cellulose plant,” says Kurg. The institute has attracted many foreign co-workers and many more have returned from abroad. Among other notable figures is professor Mart Loog, who received a prestigious Consolidator Grant of the European Research Council amounting to almost 2 million euros. This grant is to support his further career and develop the field of synthetic biology and the centre of excellence in synthetic biology at the institute. Another PhD and senior scientist Petri-Jaan Lahtvee is leading a research group that is focused on both computational and wet lab applications of synthetic and systems biology. By combining these, the group works on fundamental scientific questions, translating them into industrial biotechnology applications by constructing more efficient producer cells. The team is working with the usual baker’s yeast as well as other, non-conventional yeast strains and bacteria. Aside from big topics like building a cell factory or Mars houses, the scientists also have their eyes on other projects. R&D is taking place in various areas: material optimization, simulations, automation solutions for businesses, new and exciting materials and VR solutions. 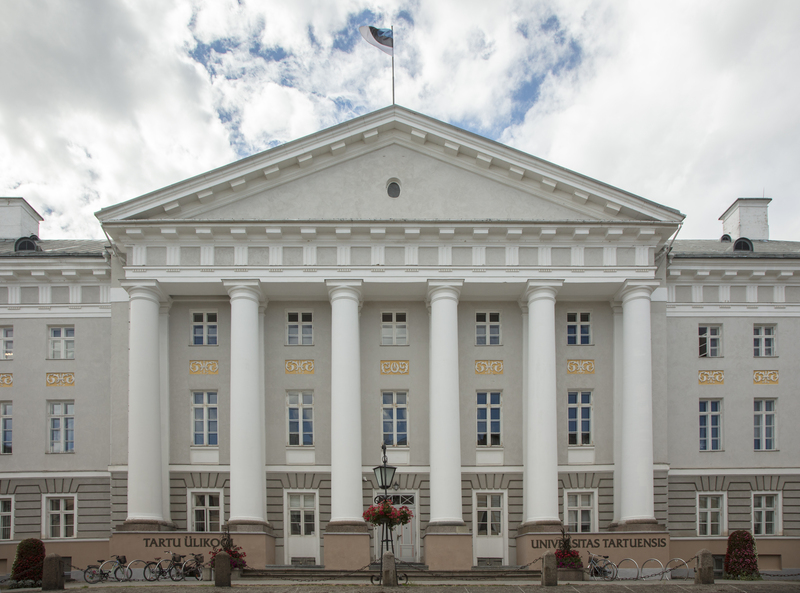 Since the University of Tartu has a long history of medical innovations, starting with Karl Ernst von Baer, founder of embryology in the 19th century, one can imagine how many more successful health science stories are yet to come. As experience shows: the researchers here are open to any new ideas, crazy as they might seem at first. And this is true: the majority of companies that have visited Tartu stress that the capabilities of the R&D organizations here are a yet undiscovered territory for enterprises in several areas. Foreign investors are in a favourable starting position in many fields. “Cooperation with local universities means to be become a very important partner here, whereas in the old market one is just another player,” advises Asso Uibo, Enterprise Estonia Tartu regionial investment consultant.